Discover the hilarious life-story of one of Britain's best-loved comedians in ‘We Need to Talk About . . . Kevin Bridges’. Kevin Bridges, Scotland's 'young comedy prodigy' (Guardian), has followed a meteoric path, from his first five-minute set in a Glasgow comedy club to selling out the SECC to a record-breaking 100,000 fans. Now, at the tender age of just twenty-seven, Kevin puts pen to paper to tell his story so far in his brilliant memoir, We Need to Talk About . 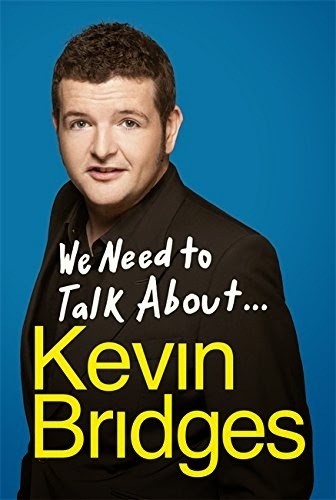 . . Kevin Bridges. Kevin's trademark social commentary, sharp one-liners and dry humour blend with his reflections on his Glaswegian childhood and the journey he's taken to become one of the most-loved comedians of our time.